Fall is officially upon us. And it seems that once it hits I’m always on the lookout for quick and easy party appetizers – Football season, Thanksgiving, the holiday filled with tinsel, red and green that I refuse to mention by name before November 3oth. Here’s what I’m going to be serving on toothpicks this season – Dates Wrapped in Bacon with Marcona Almonds. These sweet dates plump up in the oven and are the perfect compliment to the crunch of the almonds. Plus, to top it off – BACON. Smoky, salty, sweet, crispy, crunchy… All the adjectives are there! Plus, one more – Tart. We’re finishing off these delicious bites with a squeeze of lime. I have recently begun diving into more Spanish wines. Not literally – Although I hear that wine baths are a thing… I’ve been exploring the wines of Garnacha. 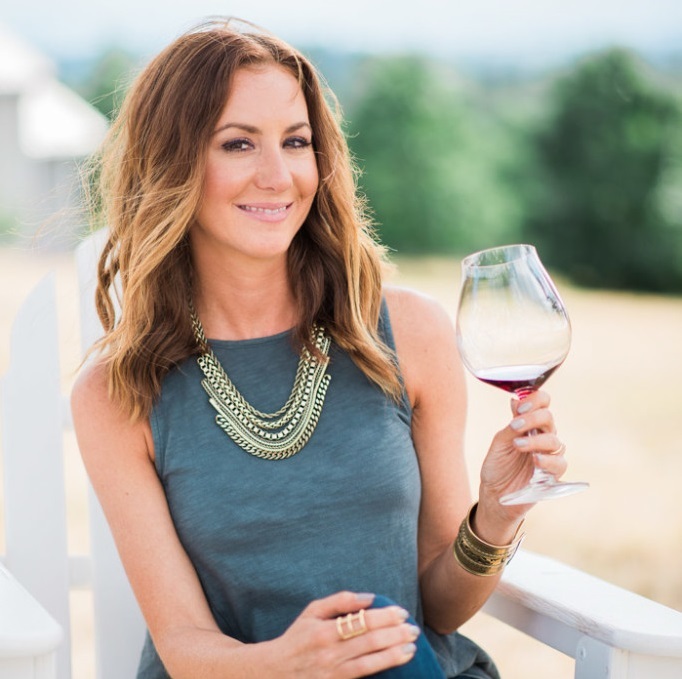 I’m always on the hunt for versatile wines that come in at a reasonable price point. We call them EDD’s in our house – “Every Day Drinkers.” Most Garnacha wines come in at around $10-$20. And, although first originating in Spain, this grape can now be found in Southern France, Italy and the US – where it is more likely to be called Grenache. Garnacha is the only mainstream grape with red and white varieties. It’s an easy to approach wine that works well with foods of all sorts. The wine itself can be red, white or rosé. In fact, you could pair a whole meal with different Garnacha wines: a rosé as an aperitif, a white with the starter, a red with the main course, and a sweet wine with desert. 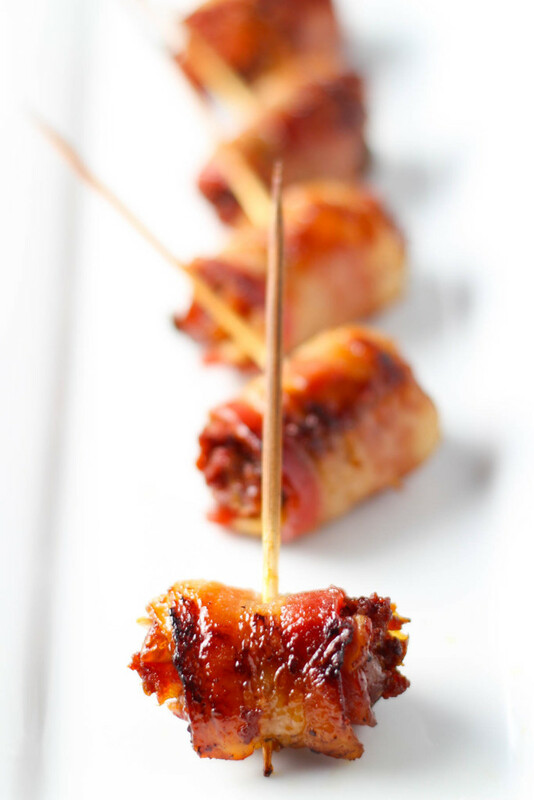 I chose a red Garnacha to pair with these bacon wrapped dates – Aromatic, lush, and fruit forward. #GarnachaDay is September 18th – How fun would it be to host a casual tapas party and invite your guests to each bring a bottle of Garnacha and a tapas style dish to share? Bites that come to mind are grilled shrimp, empanadas, marinated olives, fried cauliflower with pimenton aioli, and, of course, these bacon wrapped dates! What dish would you bring to share? This is always one of my favorite things to order at a restaurant (like TastynSons) and I always think- hey, I could probably make these at home. I never do. Thanks for the recipe and inspiration. You are SO welcome Aubrie. Tasty N Sons makes an excellent version! Love that place! That is really looks good. I’m going to try your recipe this weekend. Thanks for sharing! Thanks Raz! These guys make a great appetizer. Plus I love that you can make a tapas style dinner menu around them. Hi Shirley – I think that would work, though I haven’t tried it myself. I would say that you should be able to make them a couple days ahead of time, as long as you wrap them up well.